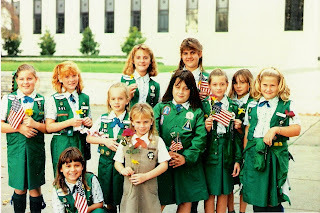 Julie, my dear friend and past Girl Scout Leader sent me some photos in the mail. They are really cute and funny. I am so happy that my teeth straitened out on their own. 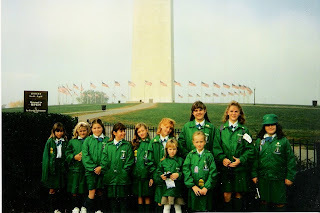 When I was 12, our troop went on a trip to Washington D.C and New York. It was a really big deal. We worked to raise money for a long time. 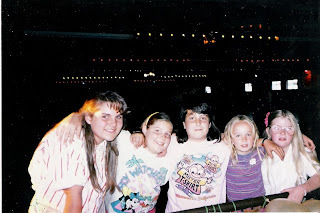 Anyhow, I think most of these photos are from that trip or that time. I was so excited to get such a great surprise in the mail. Julie, thank you for the photos. I was so excited to see them. and your world famous salsa. Doug and I see the resemblance to Jo on The Facts of Life. She was my favorite.